ISLAMABAD: Different cities of Punjab are expected to receive showers in next 24 hours, as late night rains coupled with gale-force winds turned the weather pleasant, Pakistan Meteorological Department predicted on Saturday. The late night light showers made the temperature drop in Lahore. The weather office said a westerly wave is affecting western and upper parts of the country and likely to persist during next few days. Rain-thunderstorm (with snow over the hills) associated with gusty winds is expected at scattered places in Khyber-Pakhtunkhwa, upper Punjab (Rawalpindi, Gujranwala, Sargodha, Lahore, Faisalabad divisions), Islamabad, FATA, Kashmir, while at isolated places in northeast Balochistan (Quetta, Zhob, Kalat, Makran divisions), Sukkur, Sahiwal, Multan, Bahawalpur, D.G.Khan divisions and Gilgit-Baltistan. Rain-thunderstorm (with snow over the hills) associated with gusty winds is expected at scattered places in upper Khyber-Pakhtunkhwa (Malakand, Hazara, Peshawar, Mardan divisions), upper Punjab (Rawalpindi, Gujranwala, Sargodha, Lahore, Faisalabad divisions), Quetta, Zhob divisions,Islamabad, FATA, Kashmir and Gilgit-Baltistan. Mainly cold and dry weather is expected in most parts of the country. However, rain-thunderstorm is expected at isolated places in Quetta, Kalat, Makran divisions and FATA. 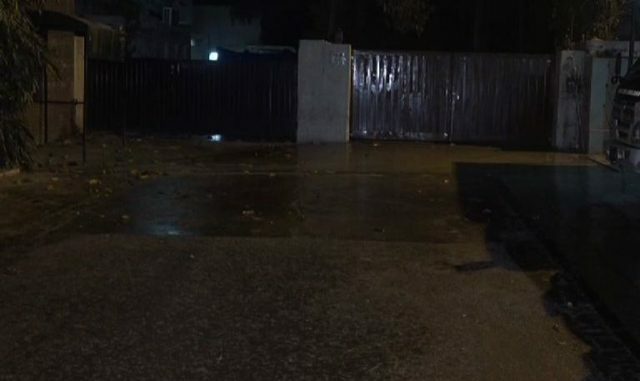 Rain-thunderstorm associated with gusty winds occurred at scattered places in Punjab, Khyber Pakhtunkhwa, while at isolated places in Sindh, Balochistan and Kashmir. Balochistan: Ziarat 37, Zhob26,Quetta(S.M 26, Samungli 10), Barkhan 09, Khuzdar, Kalat 04, Nokkundi 02, Dalbandin, Sibbi 01, Punjab: Bhakkar 07, Faisalabad, Kasur, Layyah, M.B din 05, T.T Singh 04, Jhang, Jhelum, Sargodha, NoorpurThal 03, Khanpur, Gujrat, Joharabad, Kot Addu 02, Bahawalpur, Lahore A/P, Mianwali, D.G.Khan, Mangla, Murree, Mianwali, Gujranwala, Okara, Sialkot (Cantt 01, A/P Trace), KP: Bannu 06, Cherat, Kohat 05, Peshawar City 04, A/P 03), Malamjabba 03, Saidu Sharif, D.I khan 02, Kalam, Lower Dir 01, Sindh: Jacobabad 06, Sukkur 04, Kashmir: Kotli 02. Kalam -02°C, Gupis, Parachinar, Astore -01°C.